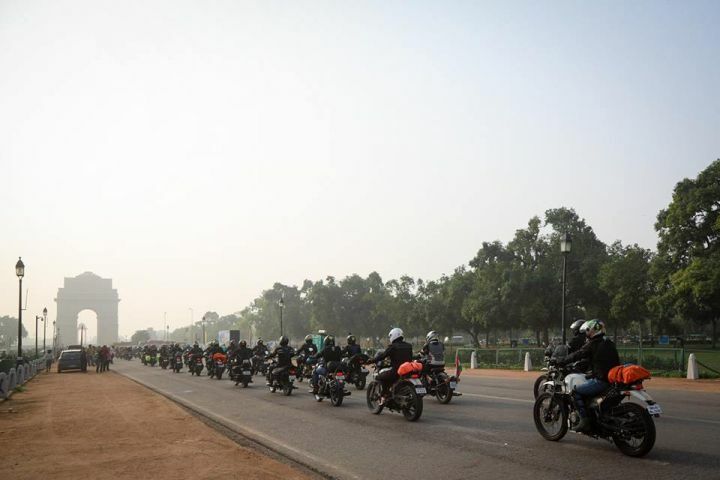 Rudratej Singh, President, Royal Enfield flagged off a group of 60 motorcycle riders from India Gate, New Delhi on a journey to the Himalayas as a part of the 2018 Royal Enfield Himalayan Odyssey. As a long standing tradition, the lamas chanted prayers and blessed the riders at the flag-off ceremony. The group includes 10 women riders as well, as a part of the ‘Himalayan Odyssey Women’ chapter. This year’s ride sees participants from various cities such as Chennai, Erode, New Delhi, Bangalore, Kochi as well as overseas locations like Dubai and Barcelona. While the Himalayan Odyssey and the Himalayan Odyssey Women were flagged off from Delhi, both groups will be taking different routes before finally converging at Leh. On the 15th edition of the event, riders will explore the scenic beauty of Ladakh and Spiti, amidst terrain and weather that will put the their grit to the test. Here’s Royal Enfield’s official release about the event. New Delhi, July 07, 2018: The 15th edition of Royal Enfield’s Himalayan Odyssey was flagged off today, from India Gate, the country’s most iconic landmark. Considered the holy grail of motorcycling, Himalayan Odyssey saw 60 motorcyclists including 10 women riders embark on a journey where they will be traversing some of the roughest terrains and highest mountain passes in the world, covering a distance of over 2200 kilometres in 18 days on their Royal Enfield motorcycles. The contingent was flagged off by Mr. Rudratej Singh, President, Royal Enfield. 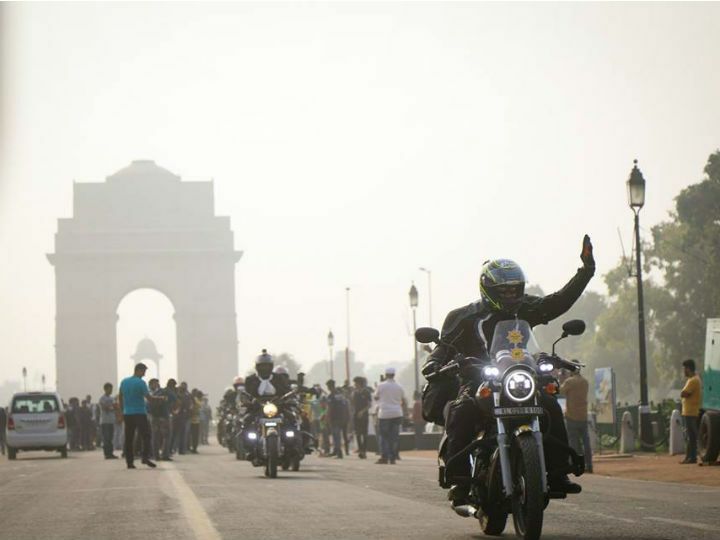 As a long standing tradition, the lamas chanted prayers and blessed the riders at the flag-off ceremony held at India Gate. This year, participants for the Himalayan Odyssey congregated from across India, including cities like, Chennai, Erode, New Delhi, Bangalore, Kochi as well as overseas locations like Dubai and Barcelona, to be a part of the expedition. Though both the rides, Himalayan Odyssey and Himalayan Odyssey Women, was flagged off from Delhi together, they will take different ride routes before finally converging at Leh. Through the ride, the participants will traverse across the picturesque regions of the Himalayas in Ladakh as well as Spiti. Both the regions will throw hostile challenges at the riders in terms of weather and terrain. Each turn exposing the riders to a new landscape like no other, eventually leading them to overwhelming beauty of the great Himalayan range.